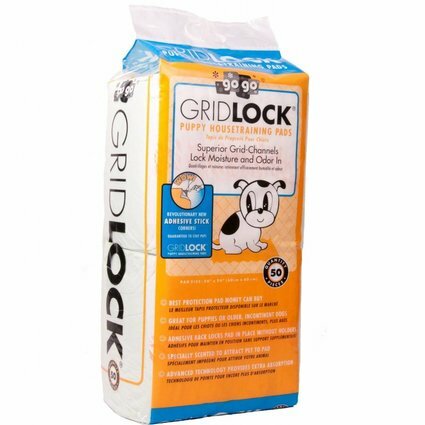 The original strength of gridlock super absorbency, now with adhesive strips in each corner to keep your pets pad in place. 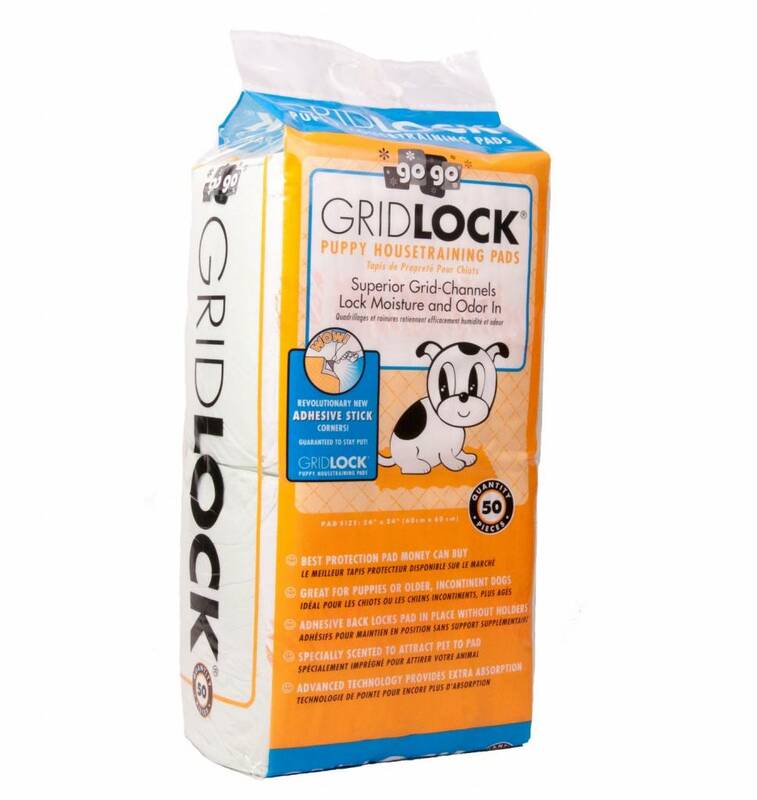 Gridlock housebreaking pads are the most absorbent on the market. Gridlock pads uses the most advanced polymer technology to absorb like no other pad. Gridlock pads are a full size pads using a leak-proof plastic backing. Specially scented to attract your pet.